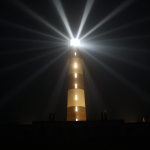 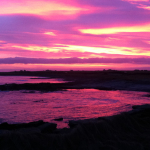 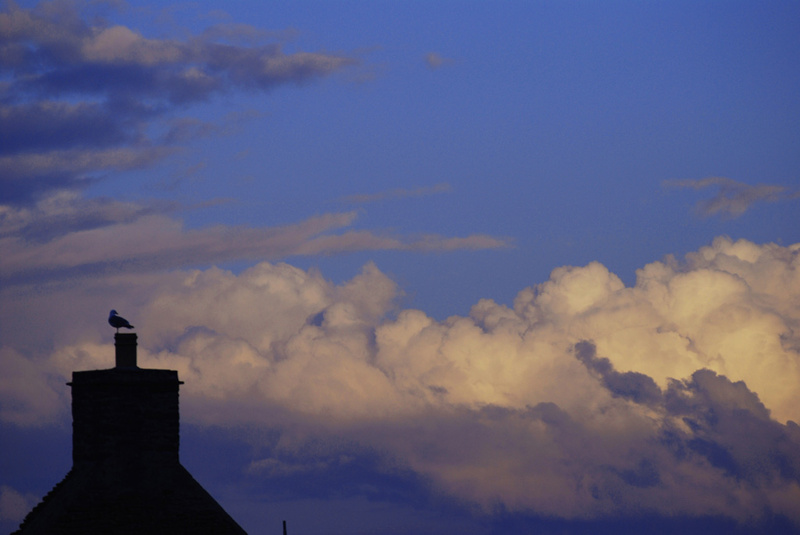 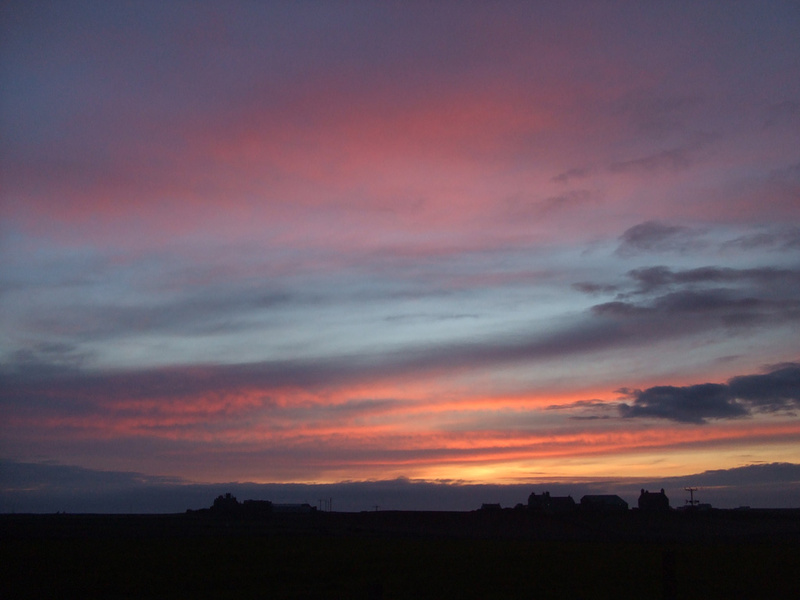 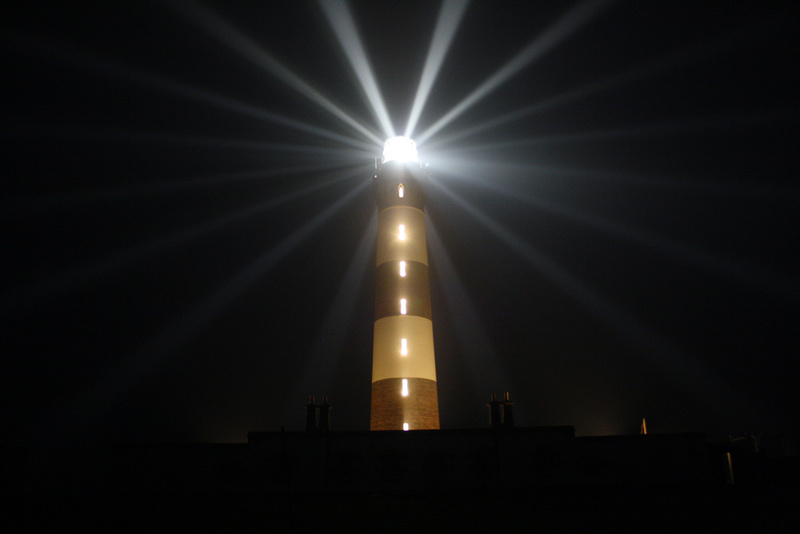 The skies above Orkney’s most northerly island are among the darkest in Europe. 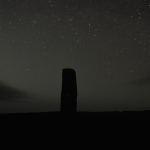 The winning images from the first two second annual competitions for North Ronaldsay night sky photographs shows the sharpness and clarity with which features can be seen. 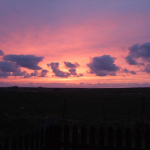 The winner of the 2011 North Ronaldsay night sky competition was Mark McWilliams. 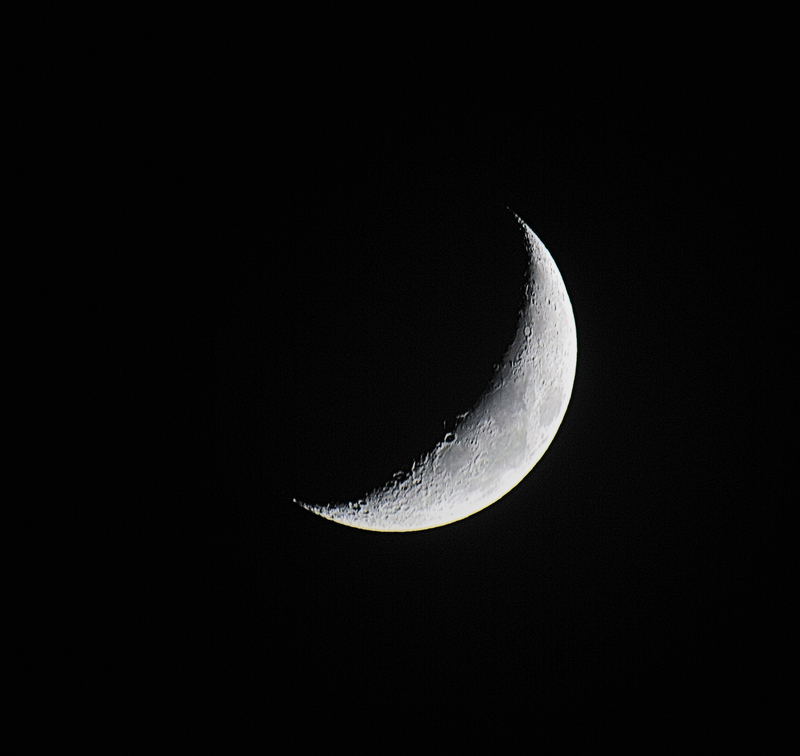 His photograph of the waxing crescent moon won the £50 prize. 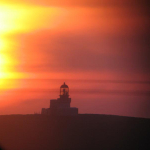 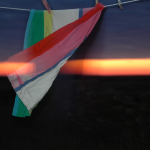 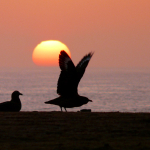 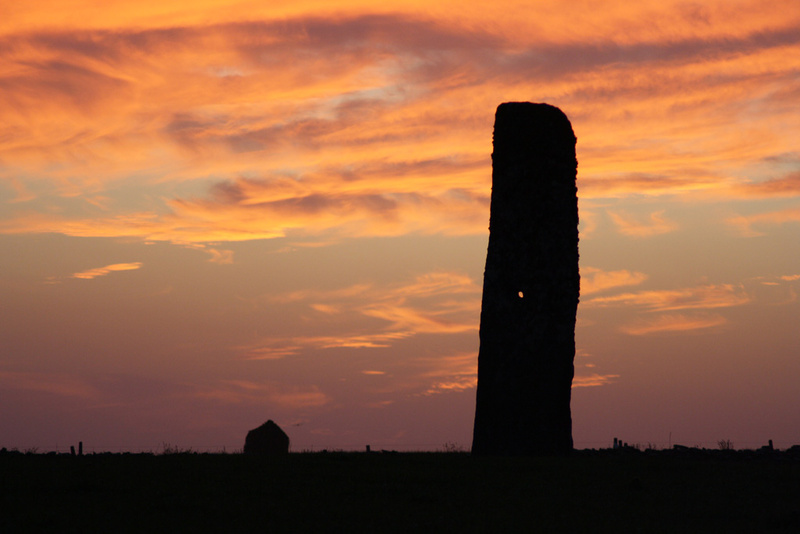 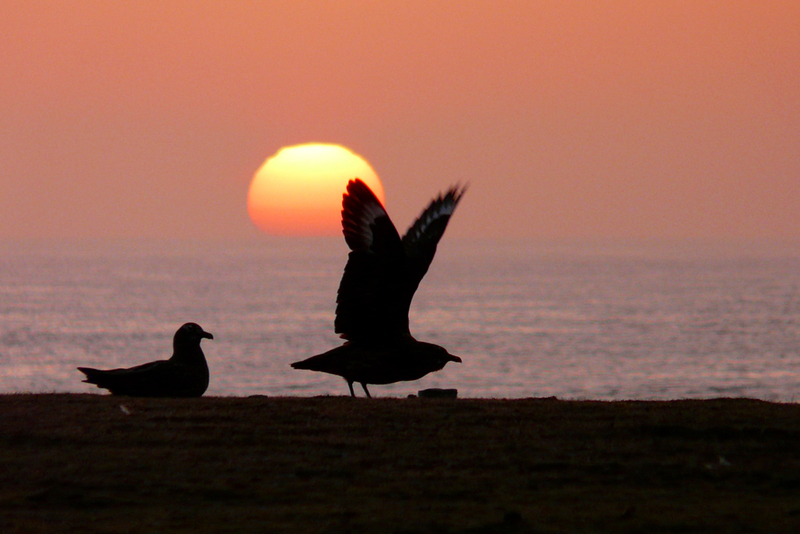 In second place was Caro Millington’s Sunset 2, and Richard Else’s Aurora came third. 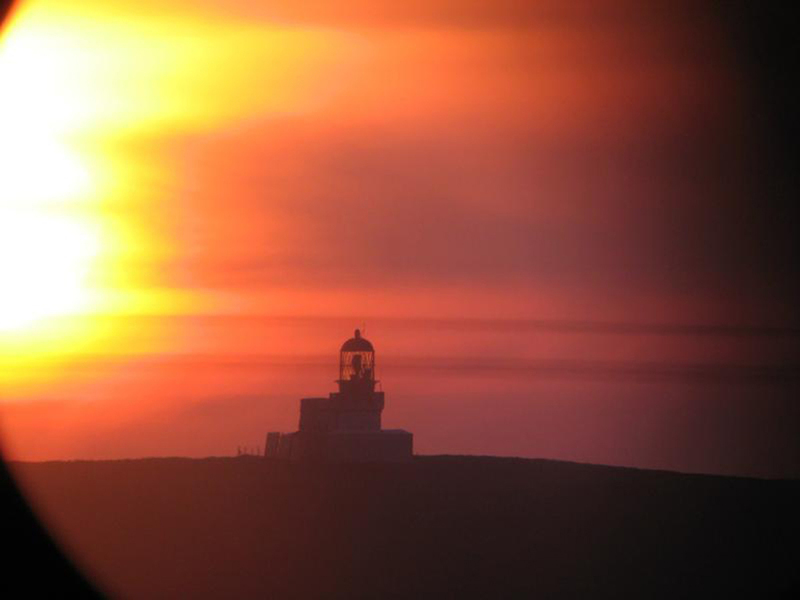 There were commendations for Navigational Aids (Mark McWilliams), Reflecting Moon (Anne Ogilvie), Bonxies Enjoying the Sunset (Richard Else), and Perfect Day – Twingness (Angela Drummond). 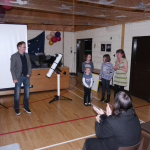 The results were announced on the Saturday evening of the astronomy weekend in North Ronaldsay during the 2011 Science Festival. 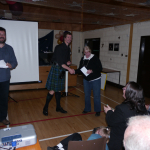 The prizes were presented by Torquil Clyde of the competition sponsors, W.H.B. 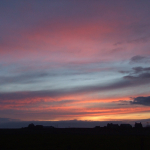 Sutherland Ltd. 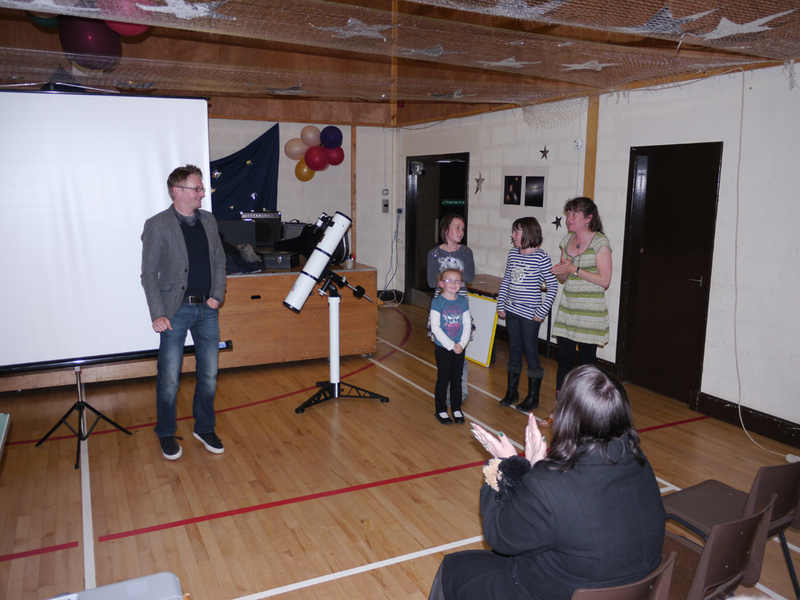 The astronomy weekend was organised by the North Ronaldsay Community Association in partnership with the Science Festival, as part of the Year of Scotland’s Islands. 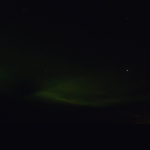 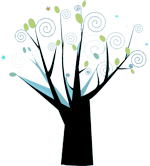 The night sky competition is also jointly run by the Association and the Festival. 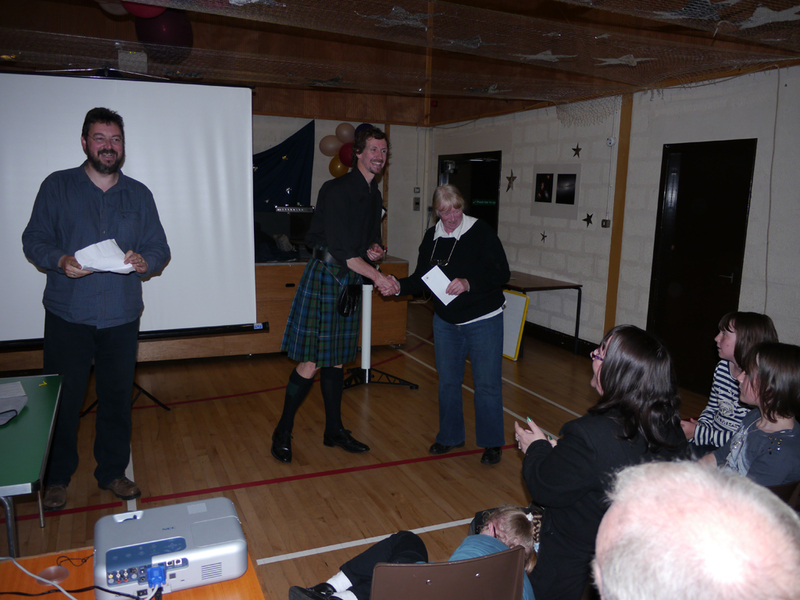 Judges were Bill Leslie and Alan Tough from Forres, and Eric Walker from the Black Isle. 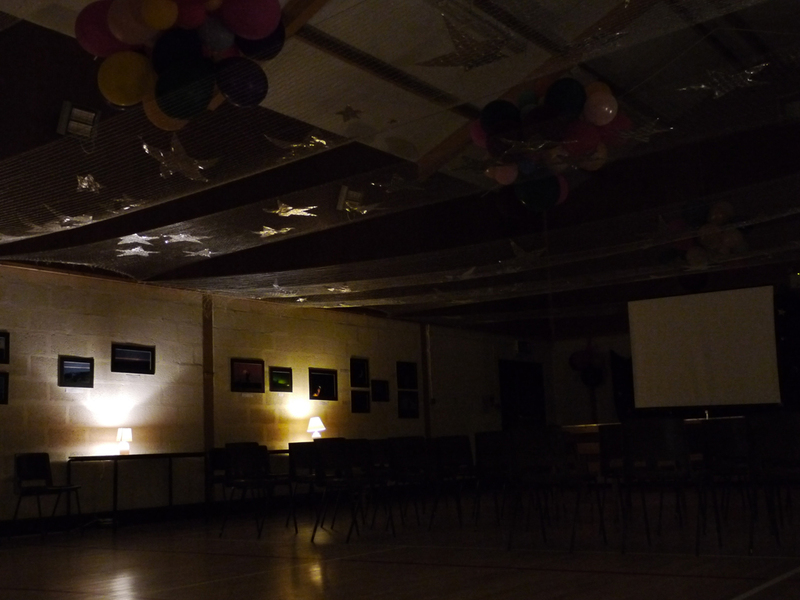 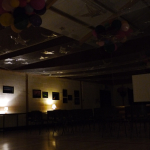 The hall was beautifully decorated for the astronomy events, as Peter Donnelly’s picture in gallery shows. 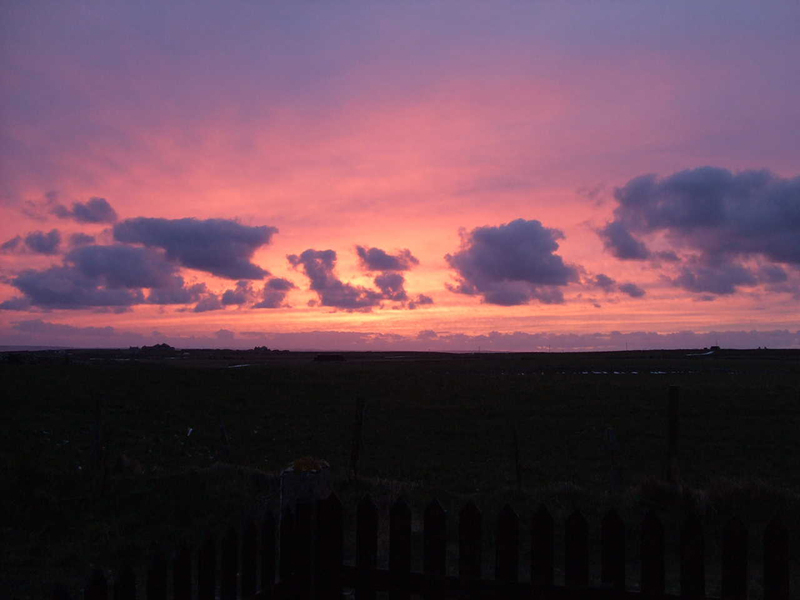 North Ronaldsay, with no streetlights or major sources of light pollution, has some of the finest dark skies in Britain. 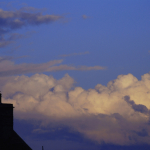 Dark skies are becoming recognised as a precious asset. ‘Were Galileo alive today, and using his original equipment, he would not be able to discern the rings of Saturn – unless, that is, he was working in one of the few places on Earth that have remained dark enough,’ wrote the New Scientist in a feature listing some ‘exotic, mysterious and fascinating locations’ – and among them the very few dark sky parks in the world. 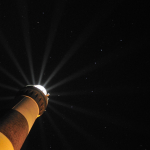 Meanwhile if you’d like to find out more about taking pictures at night, Bill Leslie has recommended a website with night-time photography tips. 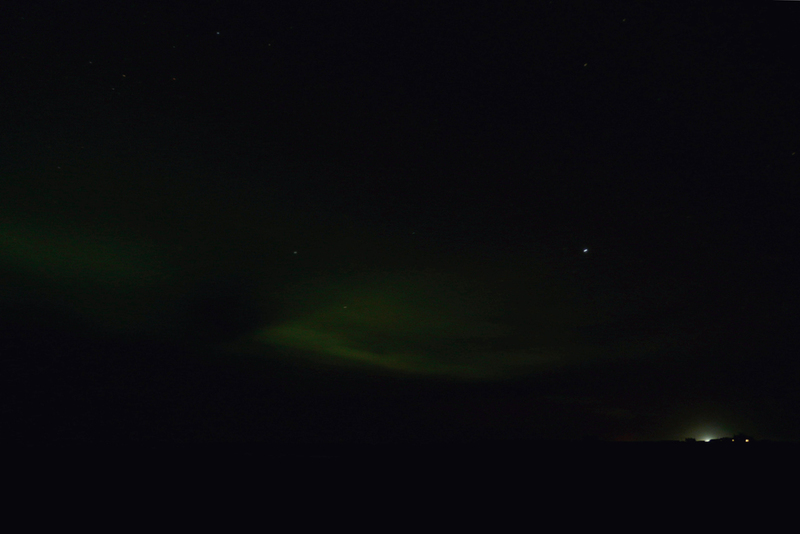 He also suggests a second site describing how to take photographs of the night sky. 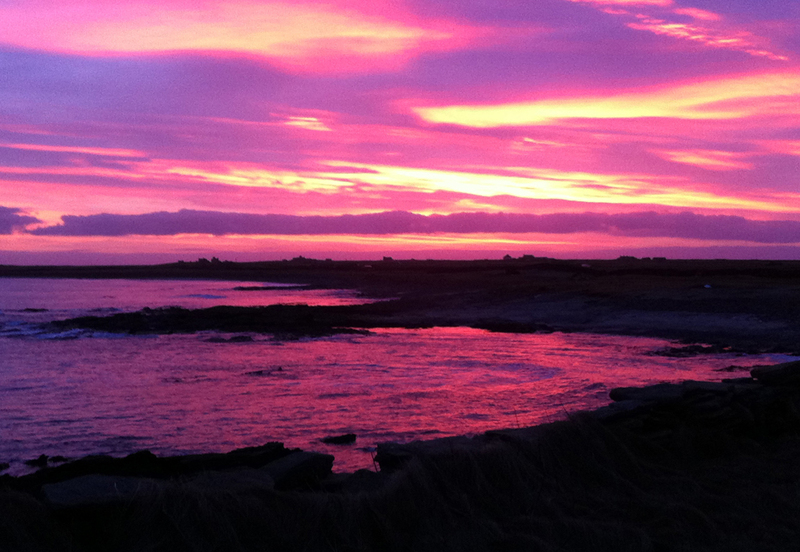 And if you’d like to find out more about North Ronaldsay itself, go to the VisitOrkney website. 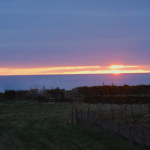 You can also download the North Ronaldsay island guide here. 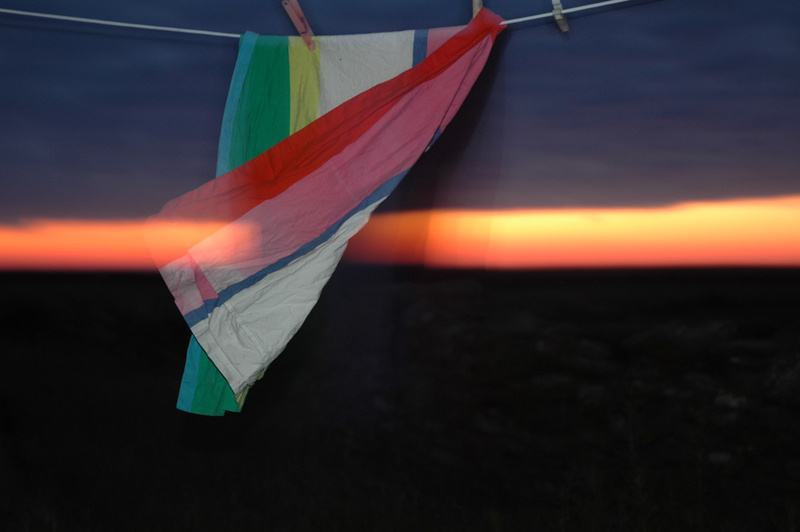 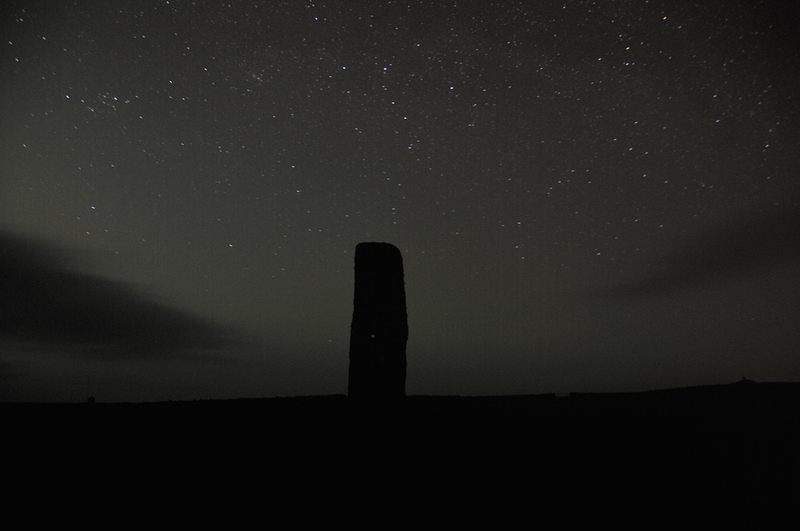 The winner of the 2010 North Ronaldsay night sky competition was Marion Muir’s North Ronaldsay Standing Stone. 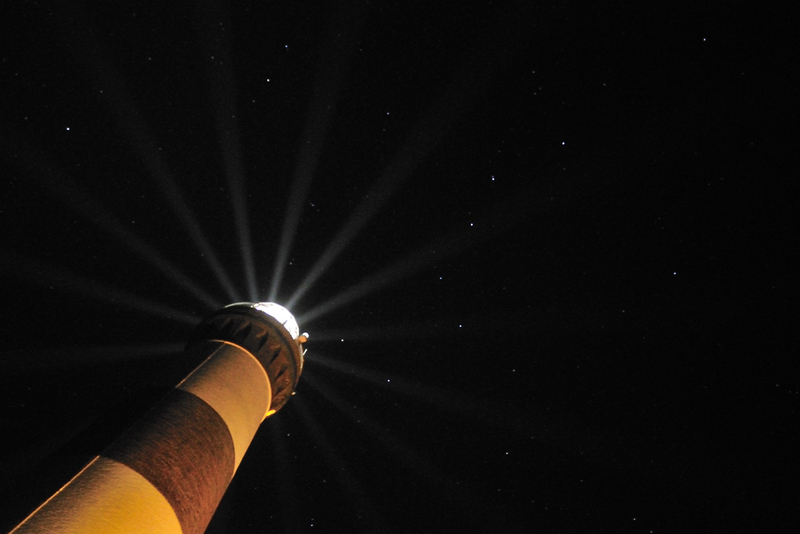 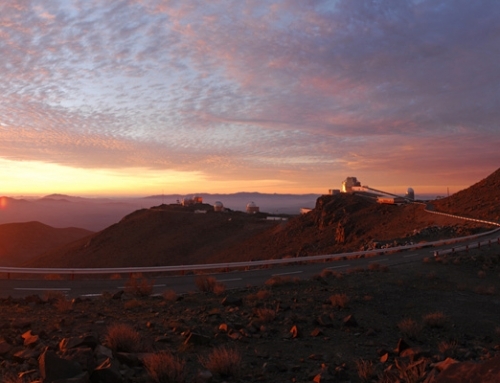 Win a night-sky photo in our new astronomy competition!